Are you thinking of buying a reusable mat for your baking needs? Then try using a silicone baking mat which is a great alternative to disposable wax paper, parchment paper, and tin foil. To help you make a wise decision, we’ll help you find the best silicone baking mat available in the market today. However, with the many brands currently available, it is quite challenging to select the right silicone baking mat that fits your needs. You need to consider several features, such as durability, size, and safety. For a more detailed guide, check our top five reviews. 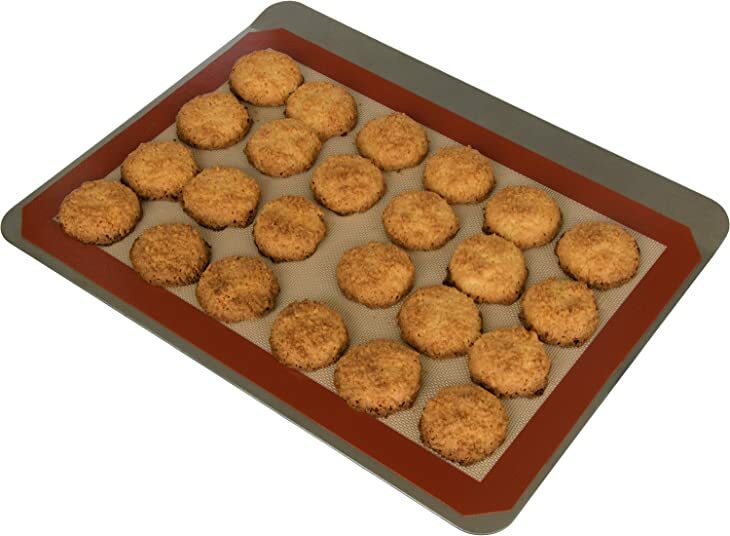 A silicone baking mat is a new alternative to disposable parchment paper to line a baking sheet. You can also use this mat to replace cooking oils, sprays, or butter. 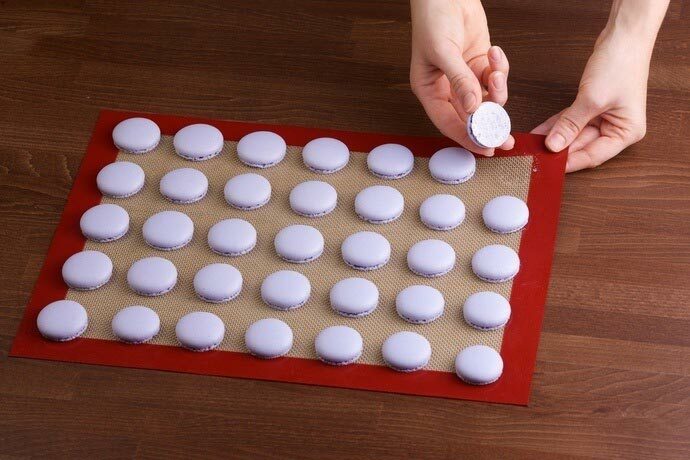 This type of baking mat is capable of enduring maximum temperatures of 500 degrees Fahrenheit (F). This kind of mat is perfect for preparing, kneading, and cooking food. 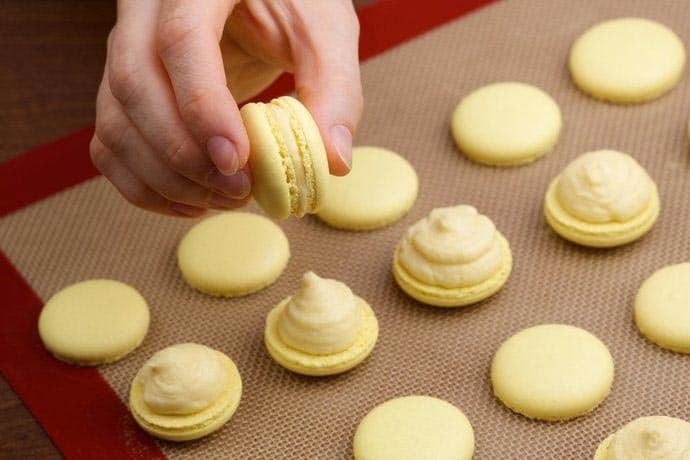 To make the baking process efficient, it is best to have about 2-3 silicone baking mats. 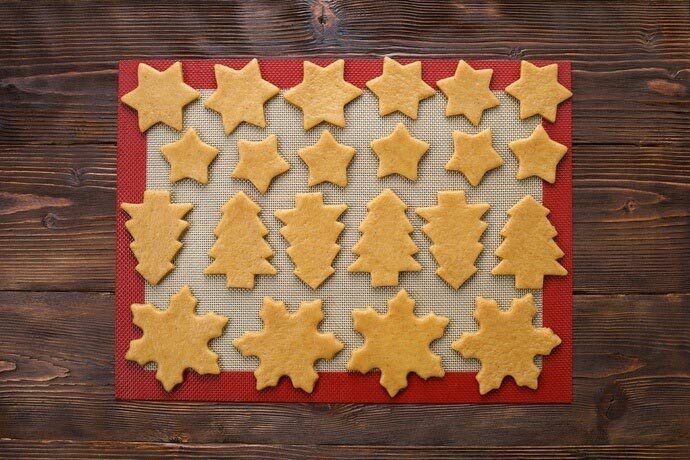 Like the parchment paper, the said mat prevents the baked cookies from sticking directly on the baking sheet. The best benefit that you can get from owning a silicone baking mat is its capability to be reused up to two thousand times. This translates to great savings, unlike using a parchment which you have to dispose each time of use. Magically, the food doesn’t stick even if you don’t use any grease. Since food doesn’t stick to the mat, cleaning will be easy. 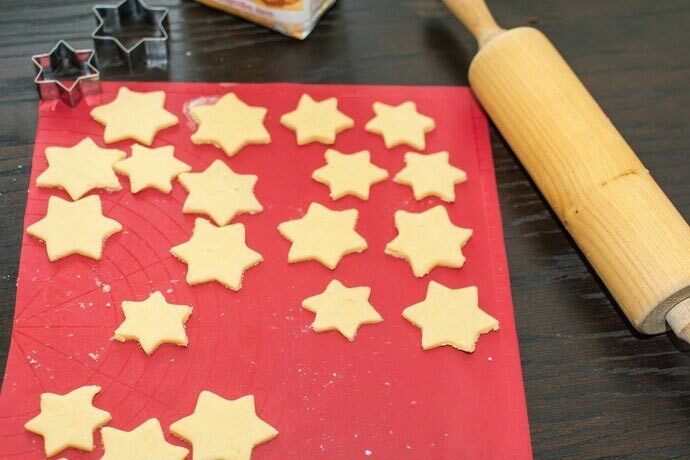 You’ll probably praise its nonstick qualities when you’ll be baking something buttery and sticky. 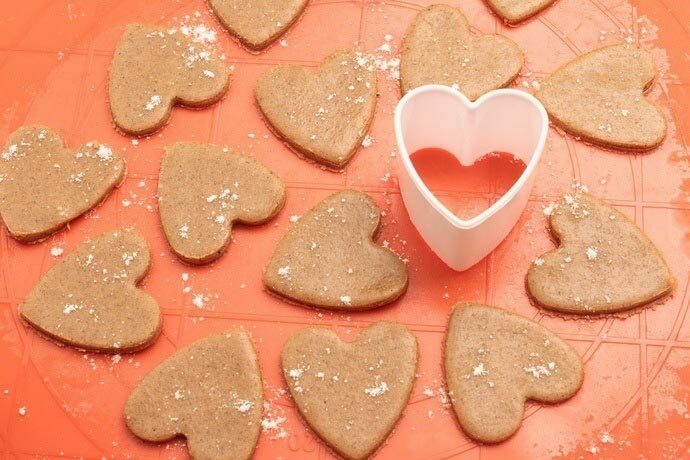 Best of all, the bottom of baked goods tends to have less browning as compared to using a parchment paper. A silicone baking mat can resist heat in as much as 500 degrees F. However, the heat tolerance may vary from one mat to another. For optimum performance, look for the highest heat tolerance. The mat’s ease of cleaning may depend on its nonstick quality. The better its nonstick solution, the more convenient it is to clean since no sticky food will be left on your mat. Most silicone mats can be cleaned easily with a warm, soapy water. 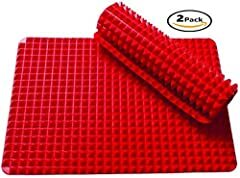 The Velesco Silicone Baking Mat comes with a set of two half-sheet mats, which are thick and large. Each mat measures around 11-5/8” x 16-1/2”, which fit US standard half-size baking trays. 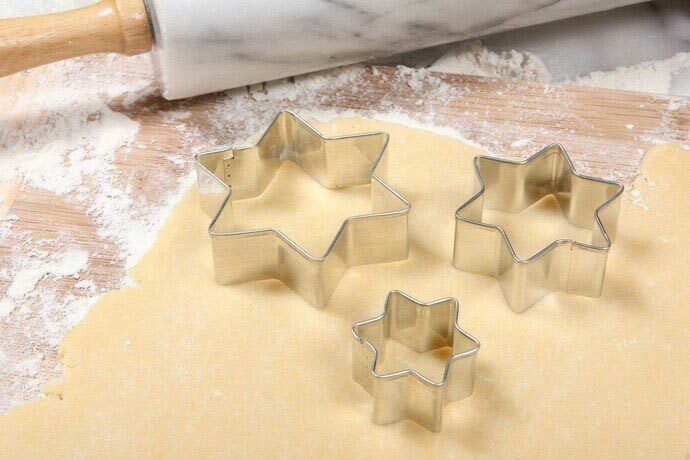 They’re ideal for rolling, kneading, and baking. The silicone material is sure to be food safe and non-toxic because it’s approved by the FDA. The mats can endure high heat up to 480 degrees F. It promises to deliver consistent results with its 100% nonstick surface and offers a full refund if you’re not satisfied with its quality. 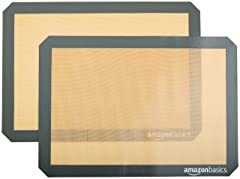 The AmazonBasics Silicone Baking Mat offers two non-stick silicone baking mats for convenient baking. Just as expected, you don’t need to use cooking sprays, parchment paper, or oil. This food-grade silicone mat can tolerate heat up to 480 degrees F.
The two mats can fit any half-sheet size pans. Specifically, each mat measures about 11.6 inches x 16.5 inches. The nonstick surface makes cleaning easy since no baked food sticks after use. The Artisan Silicone Baking Mat is made durable with strong and pliable woven fiberglass core and a transparent silicone case. This is a package of two 1/2 size silicone baking mat, wherein each measure about 11” x 16.5”. You can either clean the mat by a gentle wash or wipe with a soft, damp cloth. The two silicone mats are made of BPA-free and food-grade silicone materials. They’re ideal for baking, freezing, and roasting. You can even use the mat to knead, roll, and shape a dough. 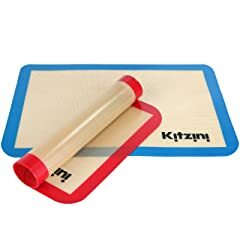 The KITZINI Silicone Baking Mat offers two pieces of silicone mats that fit perfectly on half-sheet size baking sheets: 16.5” x 11-5/8”. The mats are certified to be 100% food safe by the FDA. Cleaning is easy because you can just wipe it with warm, soapy water and air dry after each use. The silicone mats can tolerate high heat up to 400 degrees F. This set also comes with a free e-book filled with wonderful recipes. If you’re satisfied with the product, you can ask a full refund. The Jollylife Silicone Baking Mat is made of 100% food grade silicone with no traces of BPA. The set of two mats can fit inside oven sheets or can be cut to a particular size. The mat can resist heat up to 446 degrees F.
Interestingly, the mats are built with a pyramid design to keep the food elevated while cooking. As a result, the bottom of the food doesn’t burn easily, plus it helps eradicate any excess grease and makes the food crispier. To clean, just use a toothbrush to access the valleys. 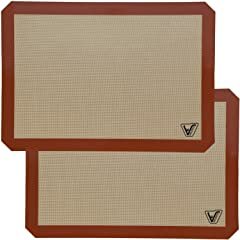 Based on our reviews, the best silicone baking mat is the Velesco Silicone Baking Mat because it has met most of the qualities we’re looking for. The Velesco set is easy to clean, made of food-grade silicone, non-toxic, can resist heat up to 480 degrees F, and has the best size for half size baking sheets. Best of all, it offers a Lifetime and 100% Satisfaction Guarantee. If there's anything that you have to say about this article, let us know in the comments section. Don’t forget to share this article if you like it.